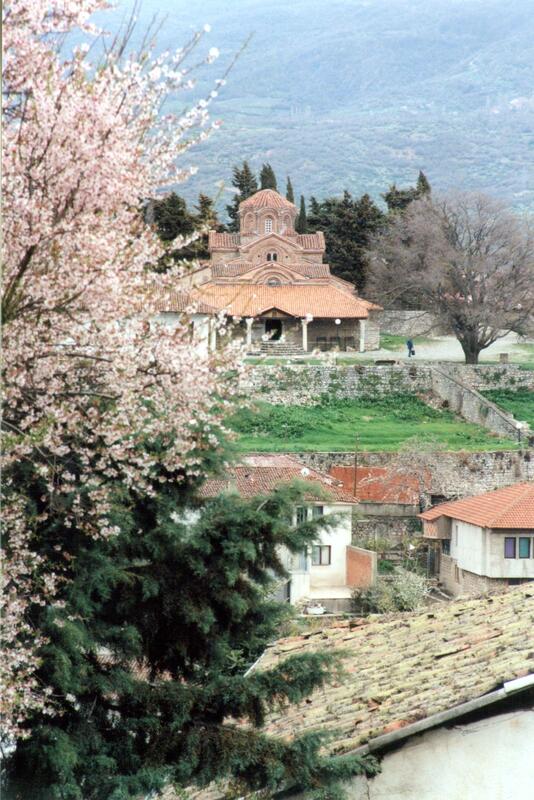 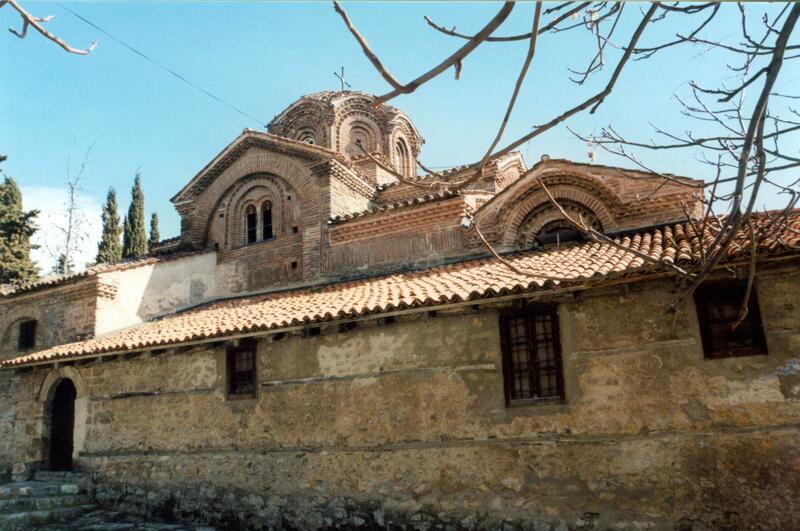 This church was built in 1295 during the reign of Byzantine Emperor Andronicus II Paleologus and dedicated to Our Lady the Most Glorious. 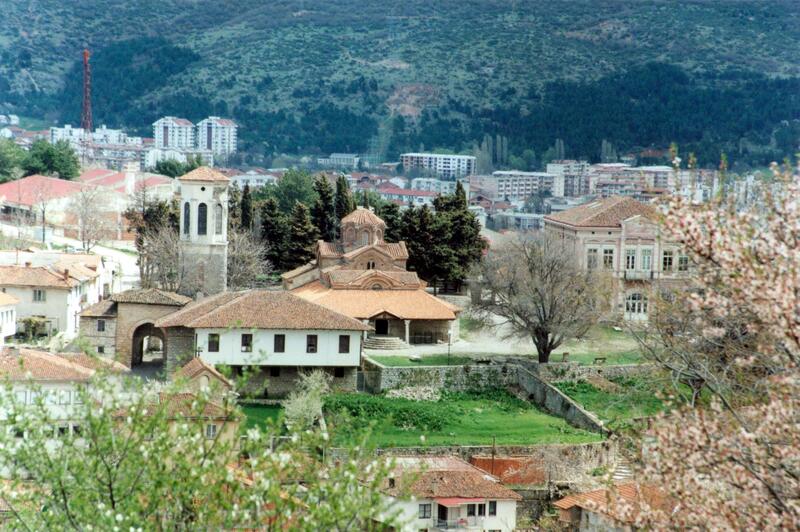 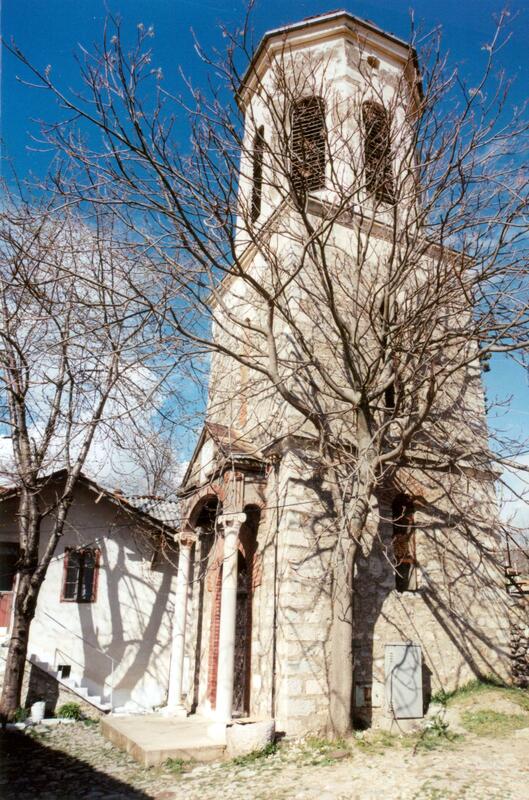 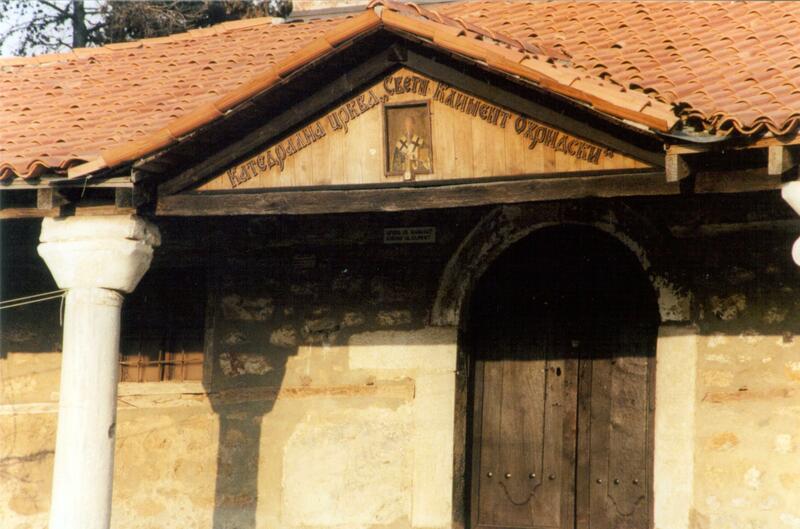 In the late 1400s, Osmanli Turks destroyed the original Church of St. Clement on the hill and St. Clement’s bones were relocated to this church and this brought forth the second dedication of this church, to St. Clement. 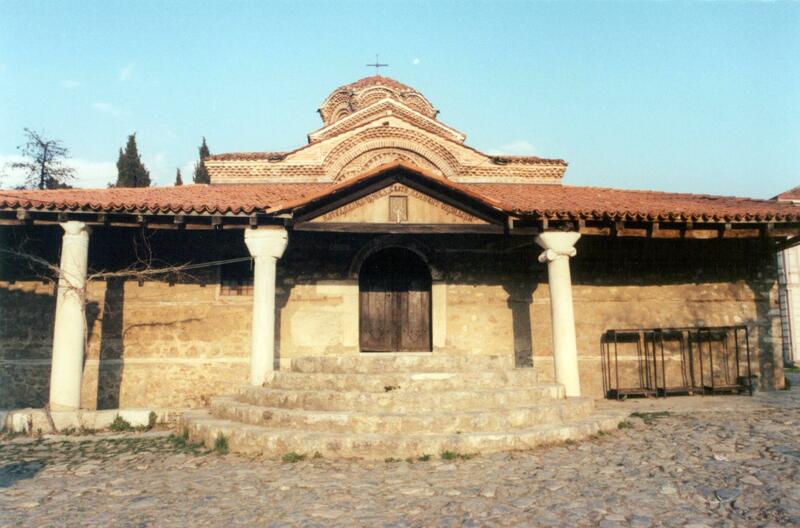 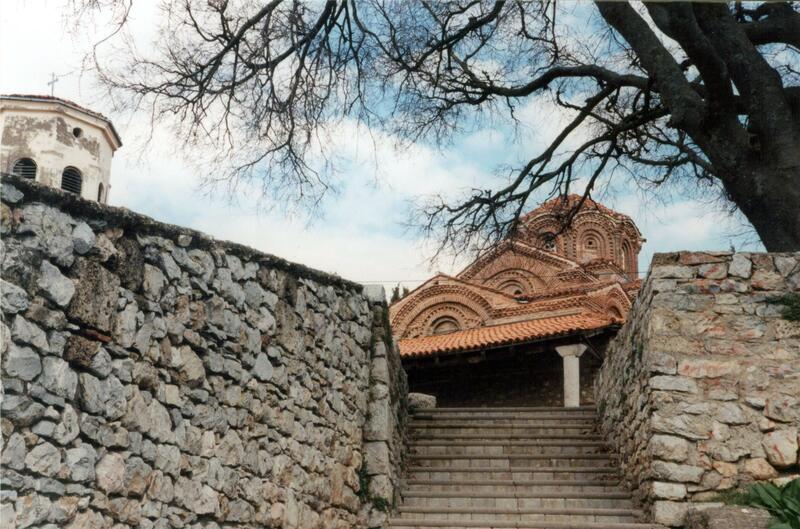 An inscription at the entrance into the porch reveals that this church, St. Mary the Most Glorious, was built in 1295 by the Byzantine military commander Persecution Zgur, (cousin of Emperor Andronicus II Palaeologus). 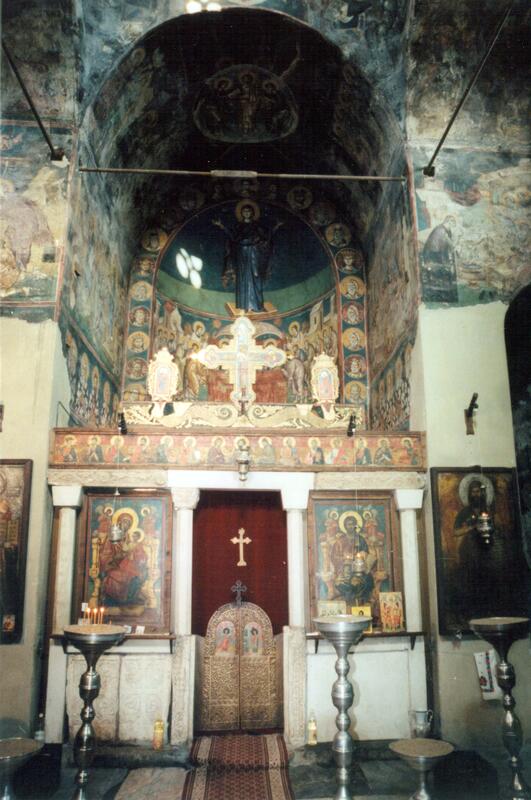 This church is shaped like an inscribed cross with a dome and narthex. 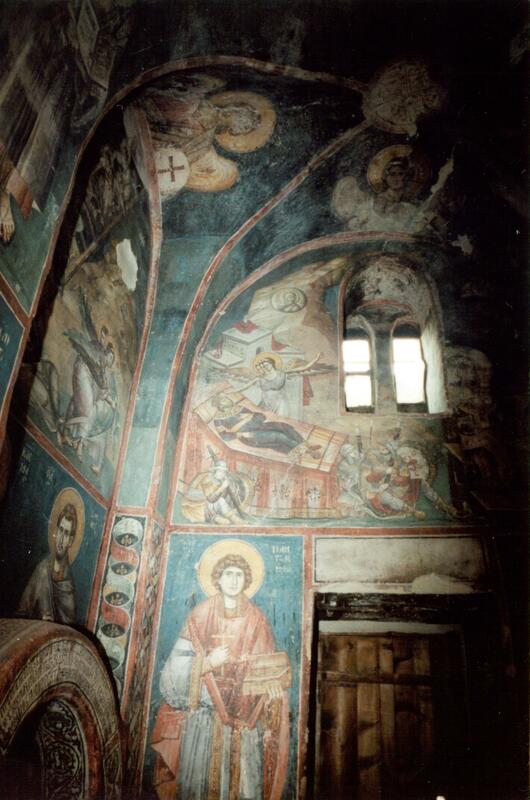 The magnificent and world reknown frescoes in this church were painted by Mikhail and Eutihije, famous painters from the medieval period who at times broke away from Byzantine and Hellenic art forms and created a revolutionary style in some of the frescoes. 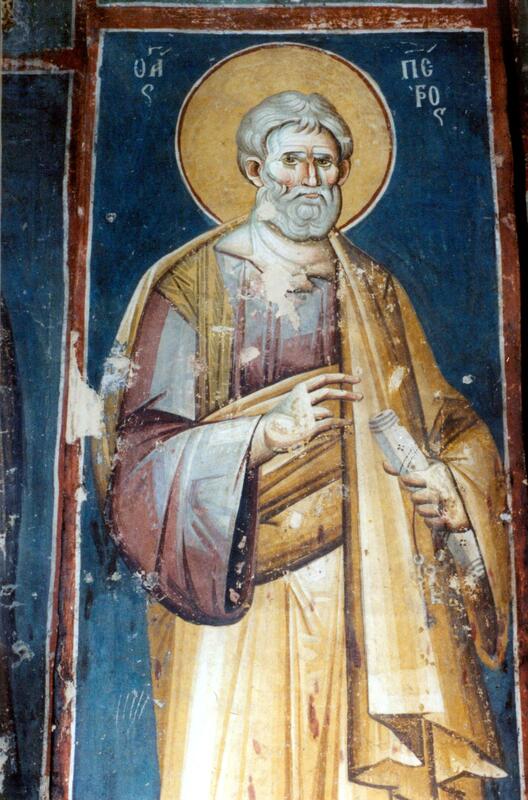 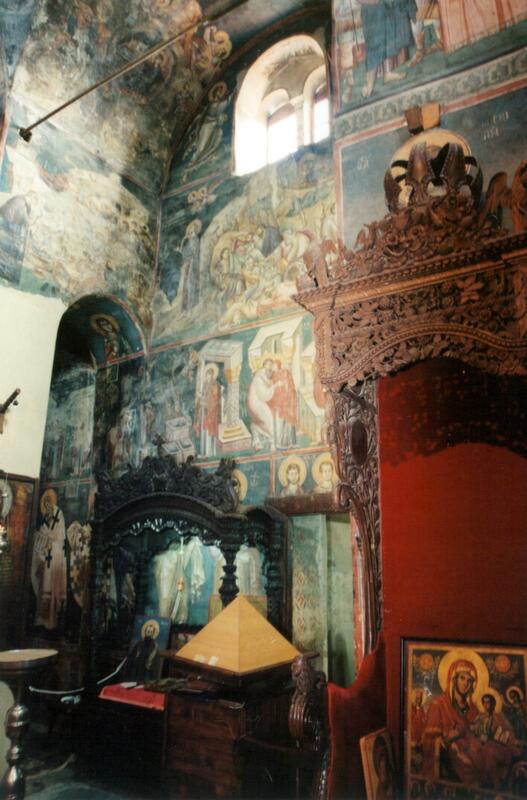 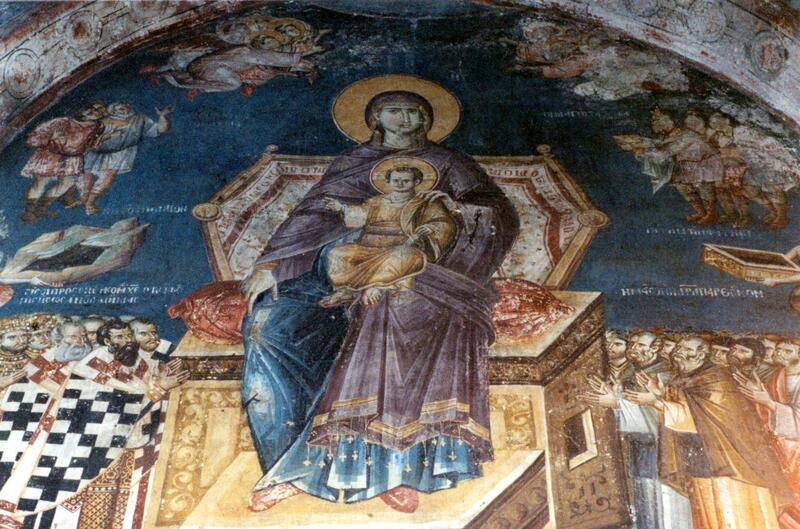 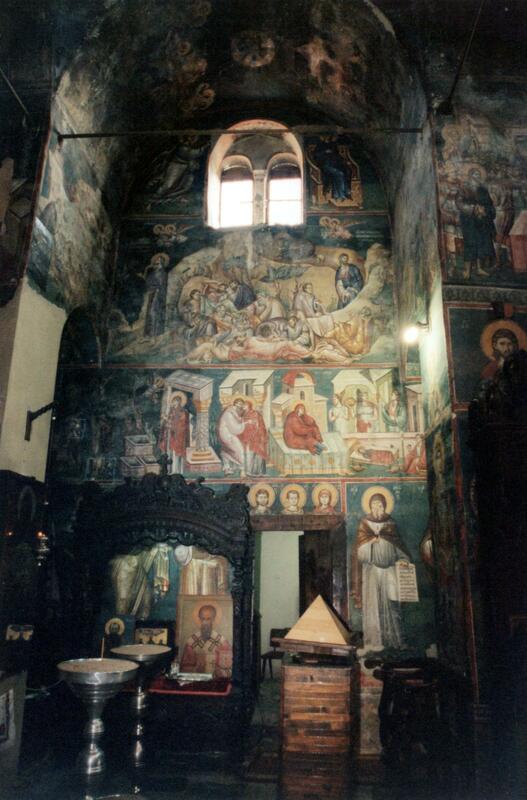 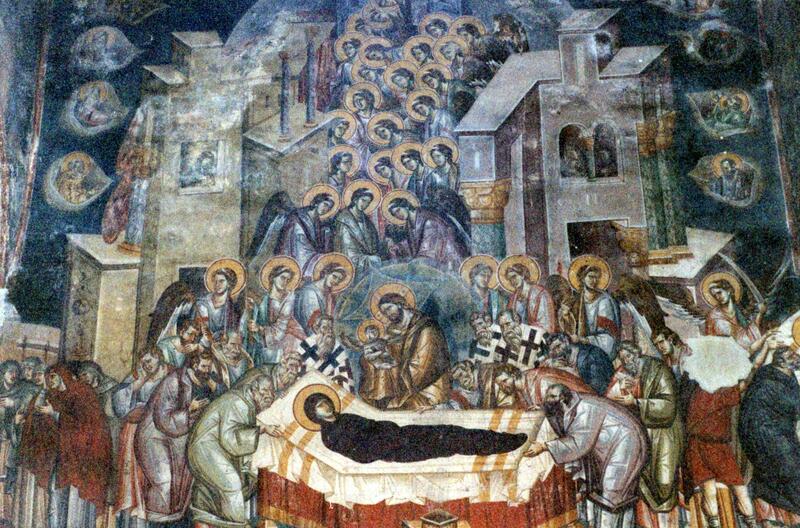 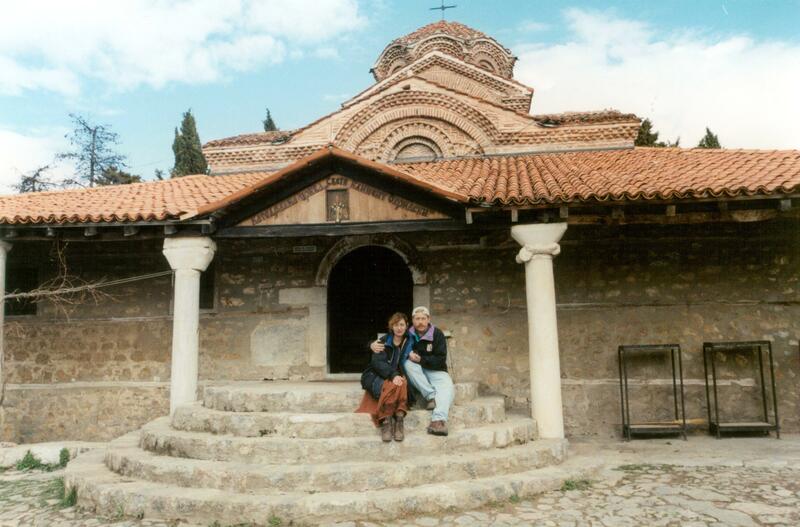 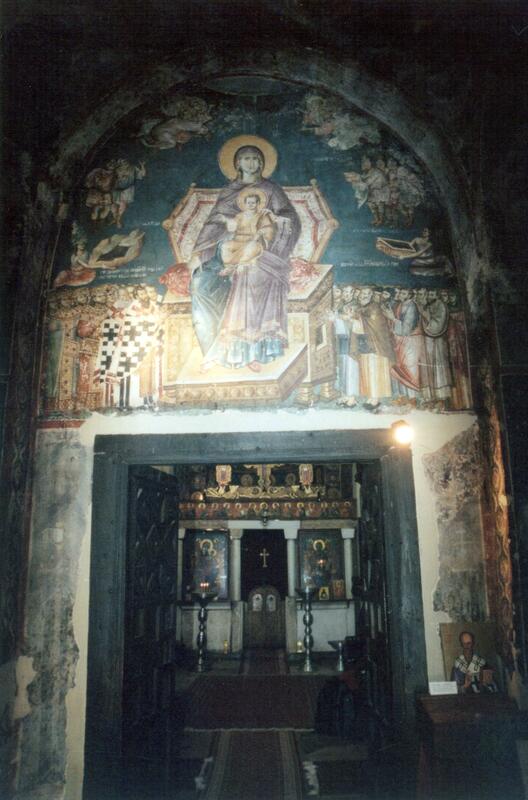 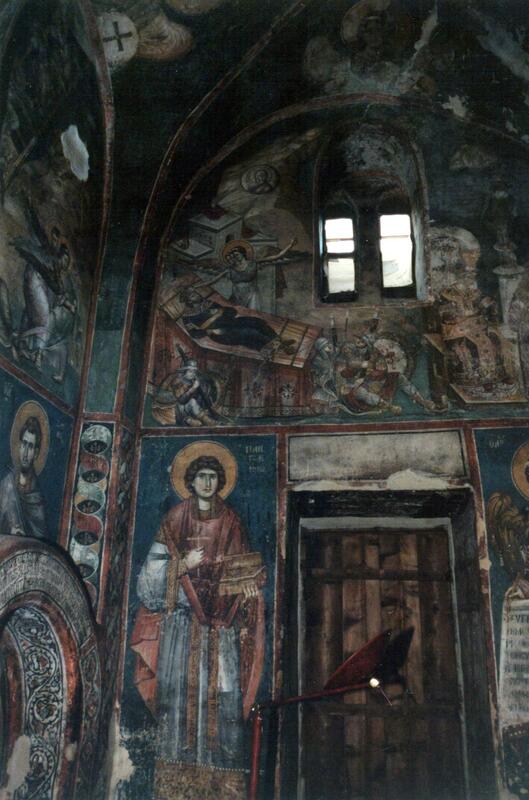 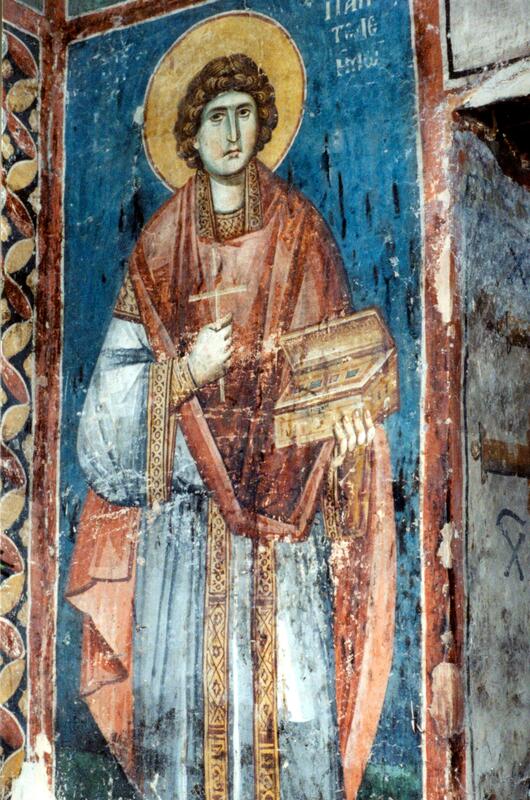 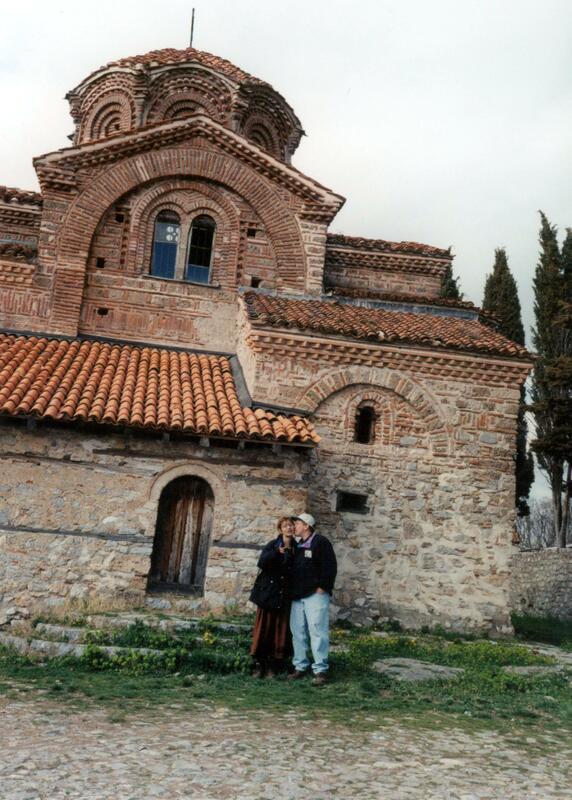 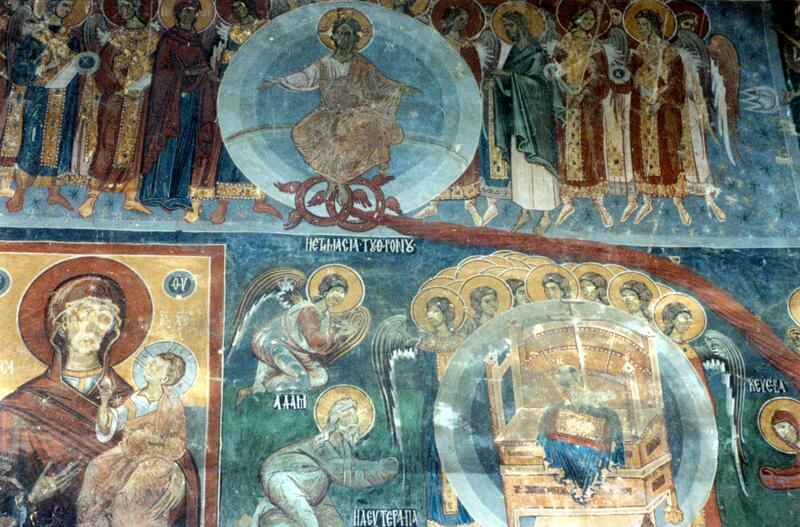 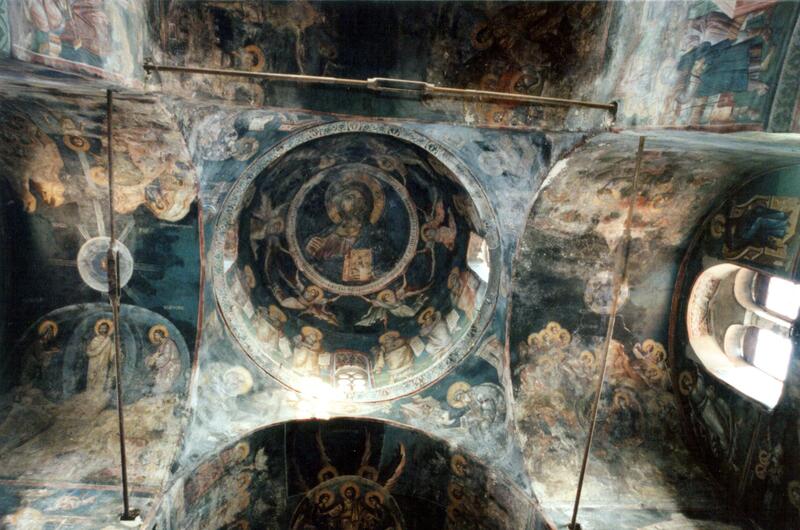 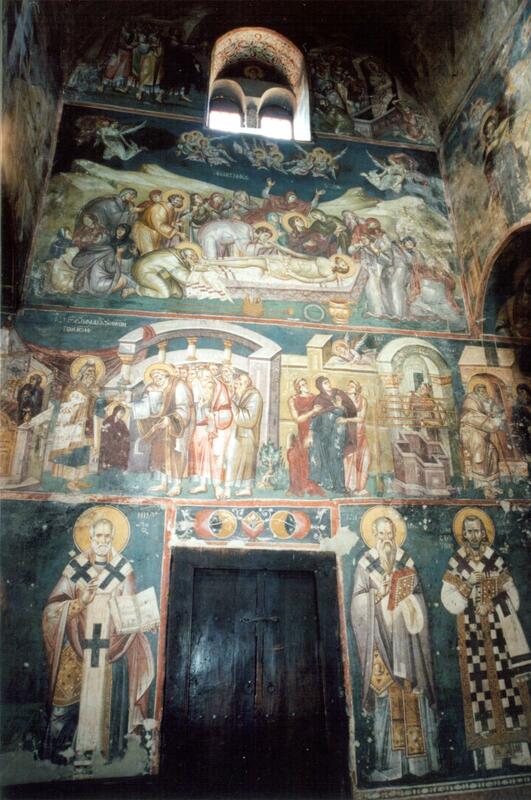 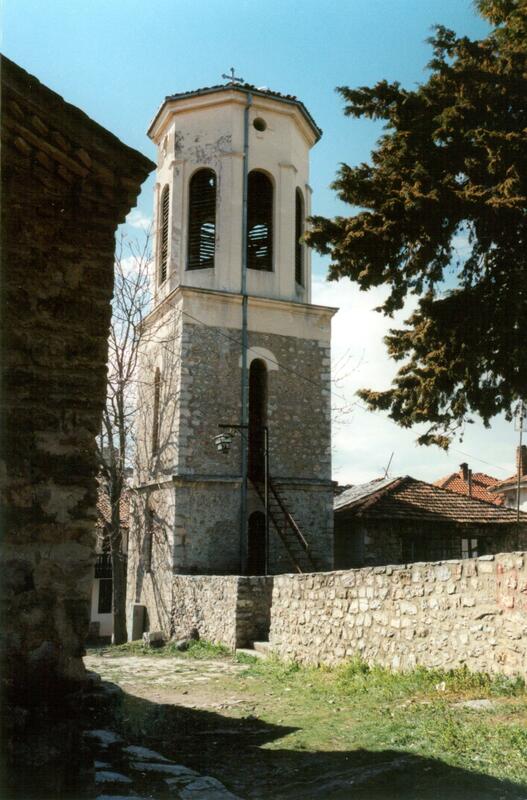 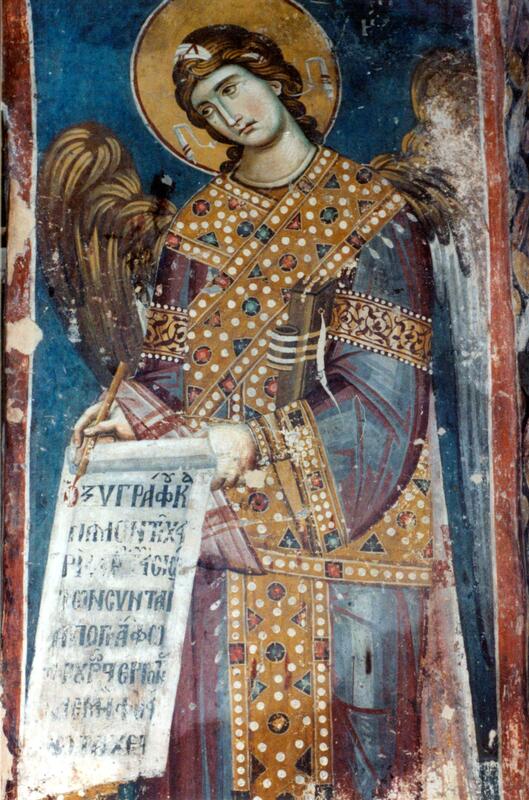 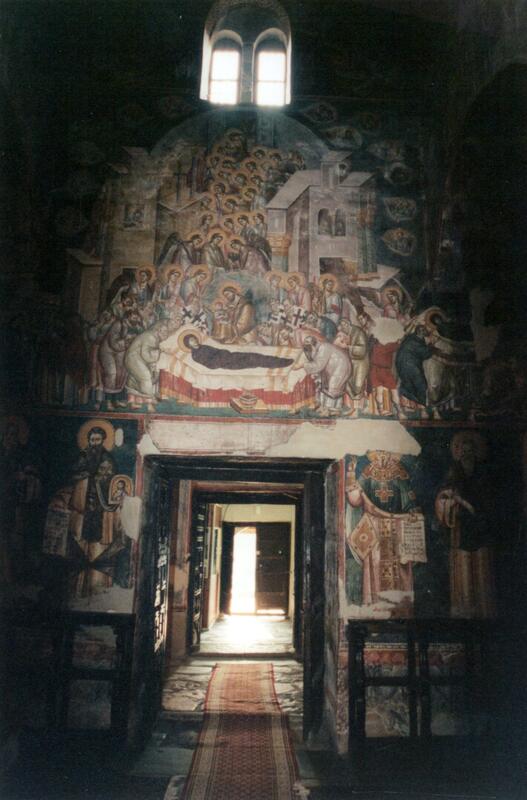 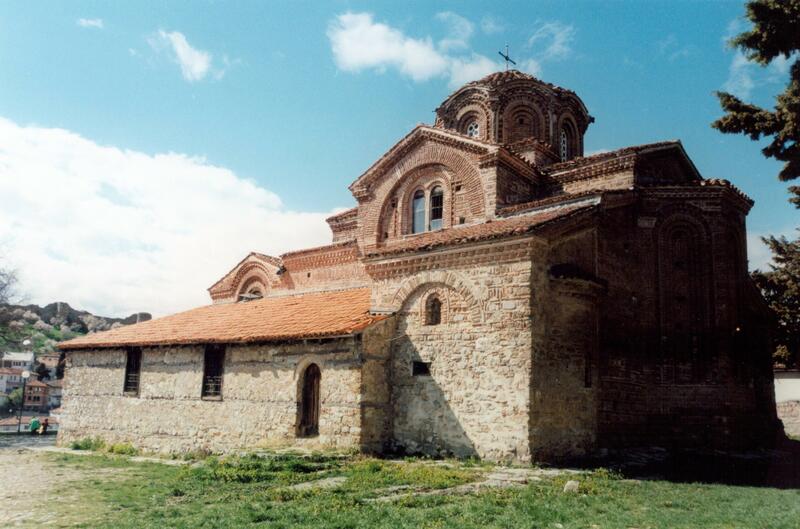 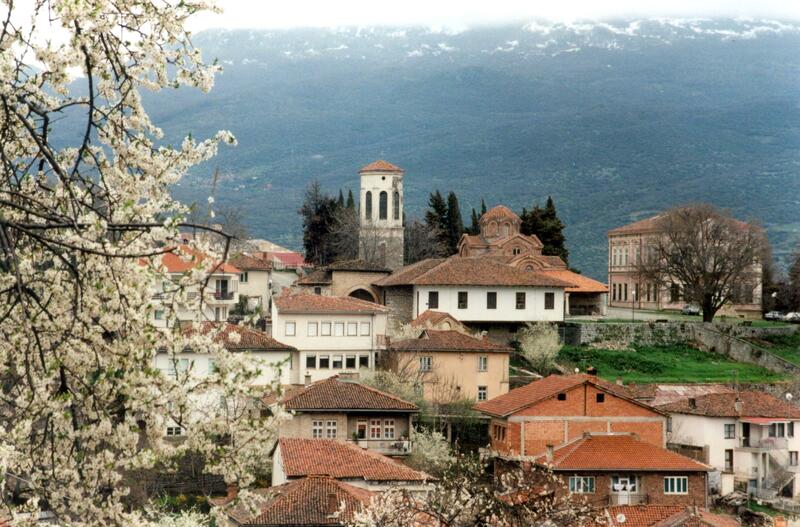 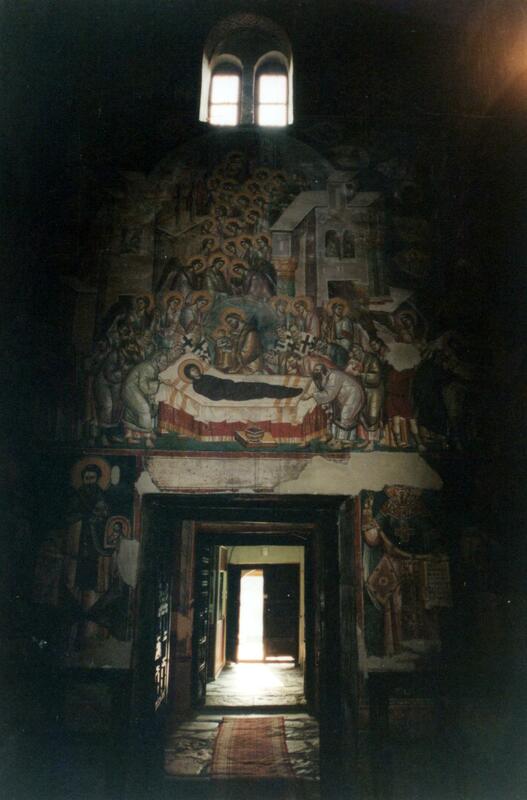 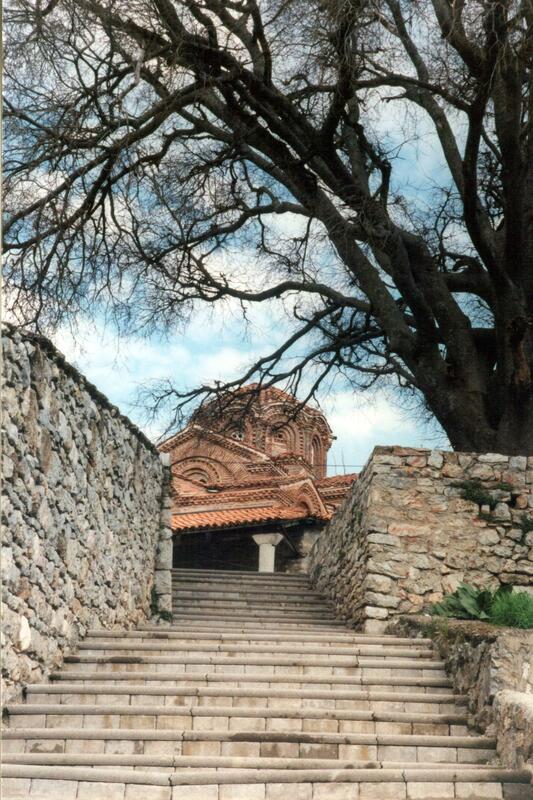 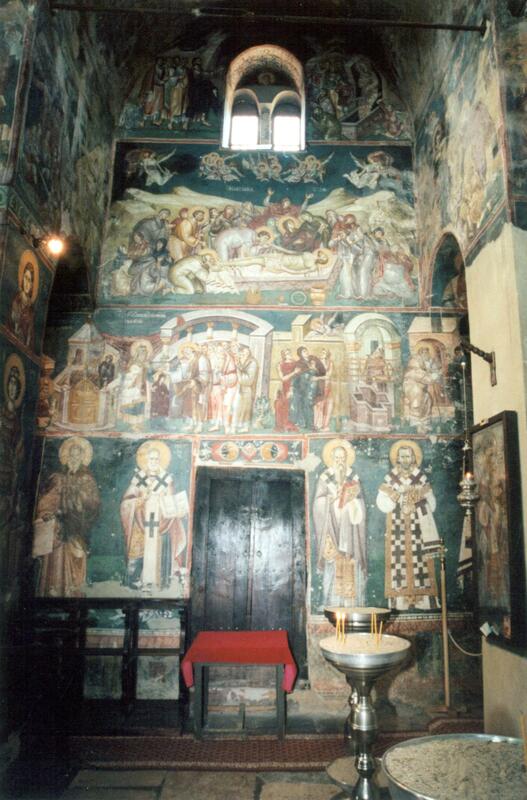 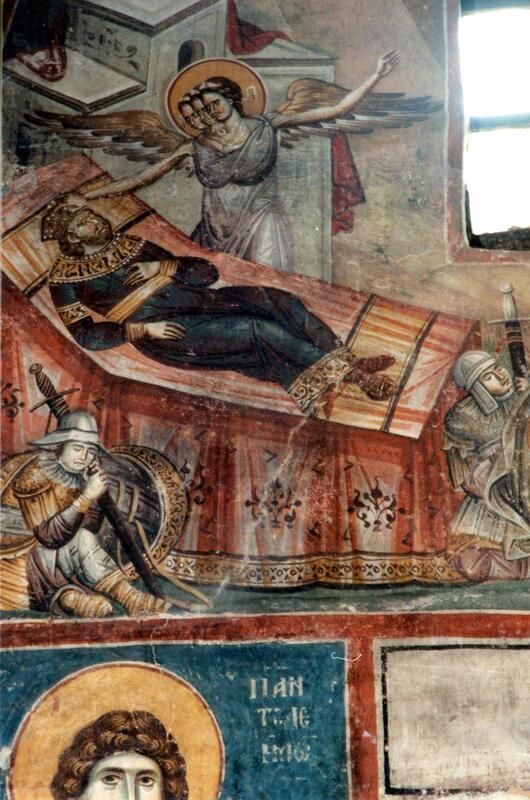 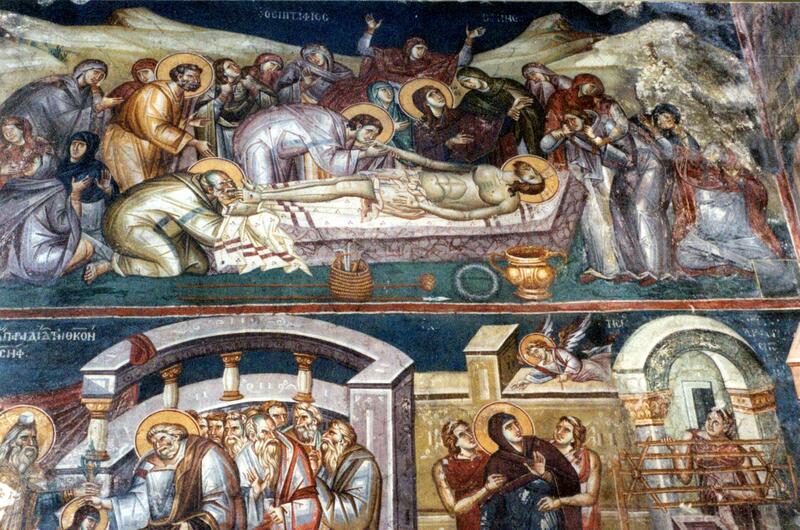 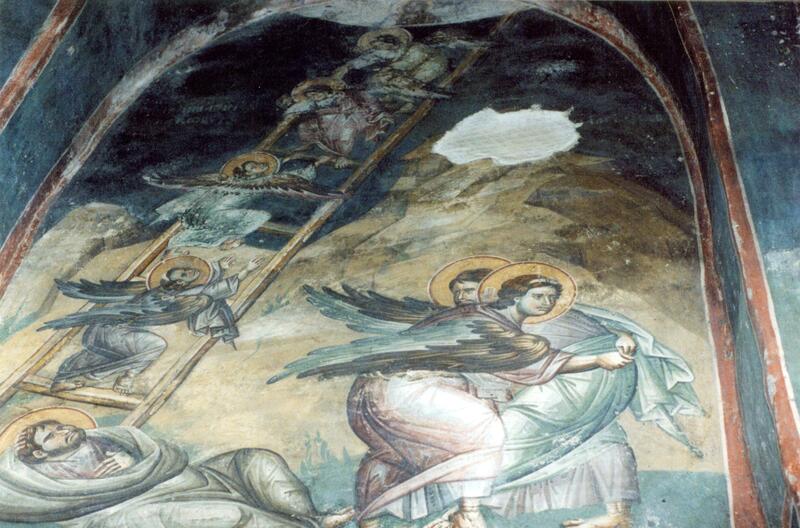 Other frescoes by Michael and Eutychios are featured at the Church of Saint George at Staro Nagoričane, the Saint Nicetas Monastery in Gornjani and the Church of Holy Virgin of Ljeviša in Prizren.